The Rawana Mask is one of the masks in the cultures section of the studio collection inspired by the Balinese Topeng Masked Theatre. 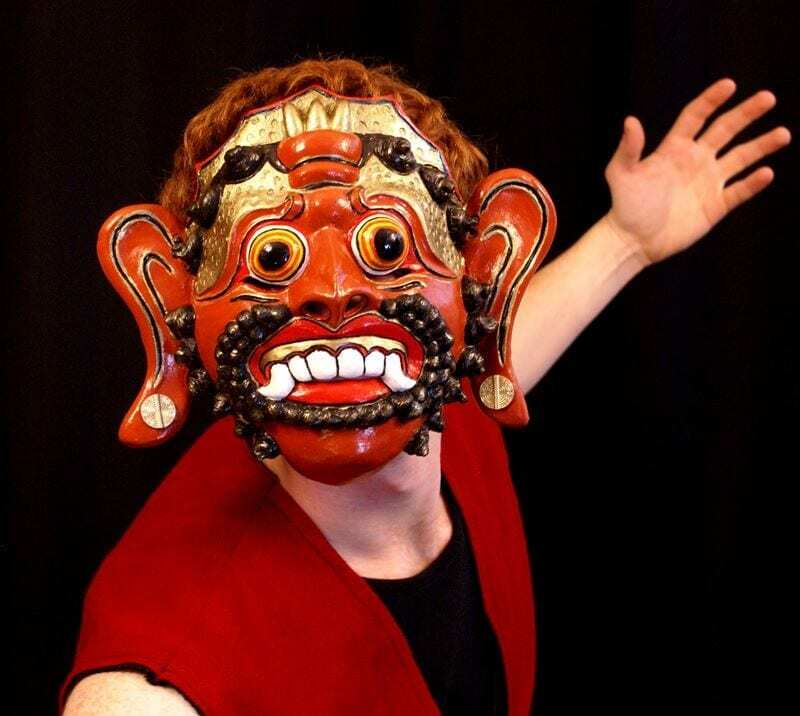 This theatre mask was created as part of a devising theatre through with masks from world cultures class that was taught for 8 years a Ball State University. The character of Rawana is the proud self centered, lawless king. The land and its inhabitants exist only for his own personal gain and to serve him. His physical attributes from his hair, lust for gold, orange complexion, greed and megalomaniac tendencies would suggest he could be a modern day president of the United States. Mask performances have been important rituals on the Indonesian island of Bali for over a thousand years. Although this is true of many cultures Bali is the only one where this ritual of mask theatre is still practiced and thriving. 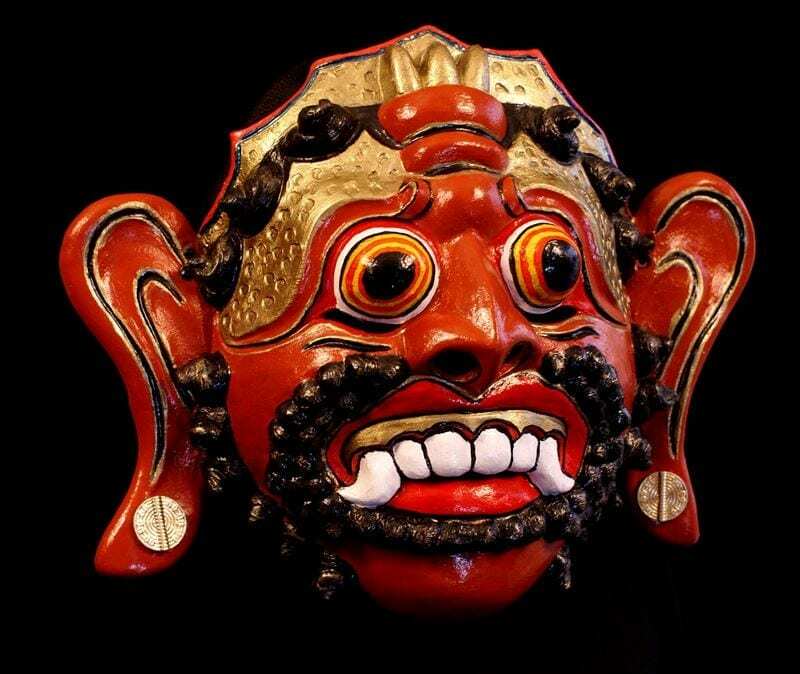 The Balinese understand that masks are living form and provide for a greater energy and heightened expressive experience for both the audience and the performer.